Let us share with you a ruling against the timeshare resort Puerto Calma. 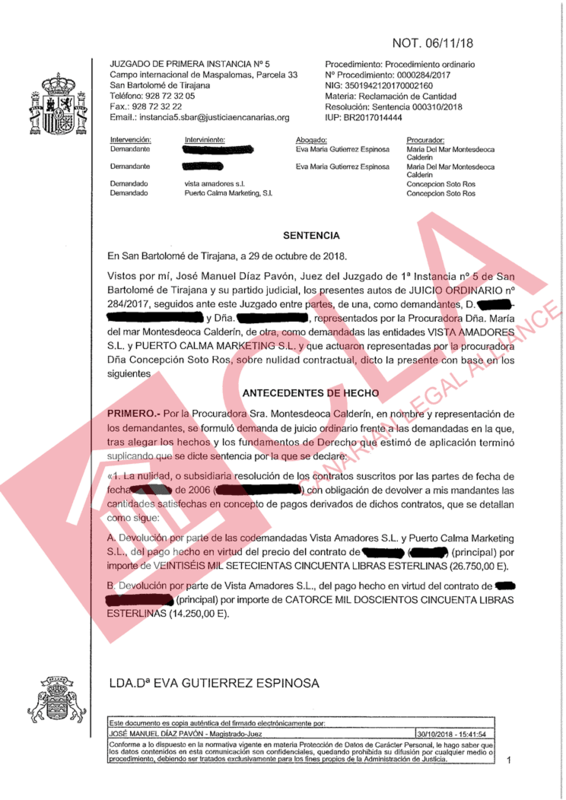 Our clients contract has been declared null and void ´by the first instance court in Maspalomas, due to the in-perpetuity clause of the contract. The Spanish timeshare law allows a maximum of 50 years, so any contract which are giving the membership for longer are illegal. Our clients will be receiving over 36,000€.